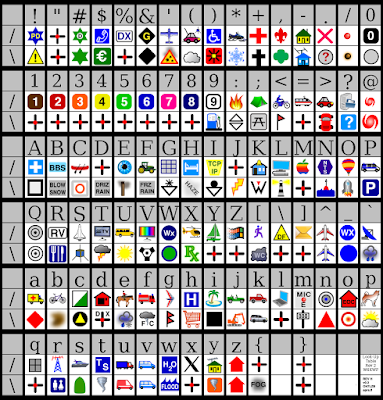 The symbol list is available online here, but I've always wanted an easy-to-use graphic with the symbol codes and the icons right next to each other. I finally broke down this week and created the image you see above based on Hessu's great APRS vector symbol set. Click on the table to see it in full resolution. 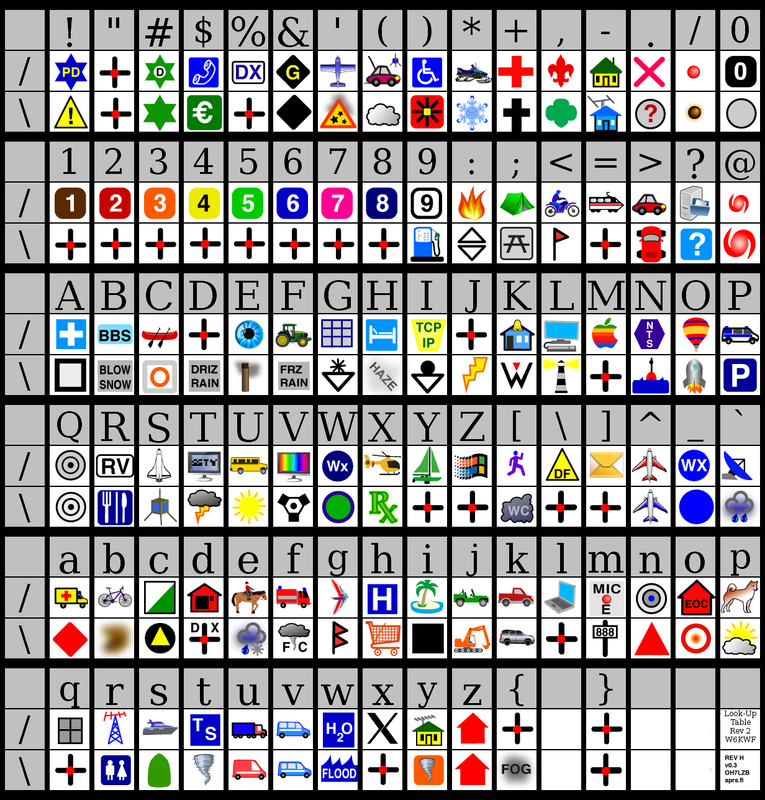 To use this table, simply find the icon you want to use, read off the symbol code above it, and use "/[symbol code]" if it's in the middle square and "\[symbol code]" if it's in the bottom square. It's the end of the year, so I figured I'd do a general life recap and wax on what I'm looking at in 2017. First and foremost, I changed jobs this year. I'm now an electrical engineer at Lam Research in the etch engineering group, where I'm working on their wafer plasma etchers used in semiconductor fabrication. This is particularly fun because I got this job through one of my Cal Poly Amateur Radio Club cohorts, so I get to see him nearly every day (thanks Sean!). It's an interesting group to work in since wafer processing spans a wide breath of fields including power systems, vacuum tech, RF power, embedded controls, etc. Most of my workload is related to my experience in RF systems, so designing RF filters, but the Lam Etch Engineering group is organized in such a way that I enjoy a high level of diversity in the problems I get assigned to, so I'm not concerned about ever getting pigeon-holed into just working on RF. My group at Lam has been growing very quickly this year. Even just since I started we've hired three more EEs and looking for a few more. If you're in the bay area and looking for a job feel free to shoot me an email if you're interested. I've been having fun building and deploying radio repeaters. On the bench side, I've been putting together a collection of videos on repeater building . Online information on repeaters is tough to come by, and I don't feel like I've even made a dent yet, so plenty more repeater videos are yet to come. On the repeater deployment side, I got to spin up several of my personal repeaters at events like the Wildflower Triathlon under my commercial radio license and at the Bay Area Maker Faire on the amateur repeater test pair. 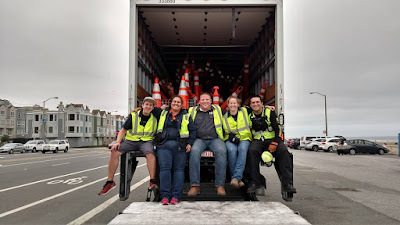 In addition to working communications for the Wildflower Triathlon for TriCalifornia, I got talked into volunteering for several other of TriCal's events. A dedicated communications team isn't needed for their other events, so I instead got to work on the course team placing cones and traffic control around the race courses for the Pacific Grove Triathlon, the SF Triathlon at Alcatraz, and the Giant Race. Getting to drop traffic cones off the back of a moving box truck is a kick. Sadly, TriCalifornia recently announced that they're not hosting any of their own events in 2017, so my event support in 2017 is going to need to be more diverse. I've been having fun climbing towers for the Salinas Valley Repeater Group this year. They're a good group of guys with an impressive repeater network set up covering the bay area down to Fresno. 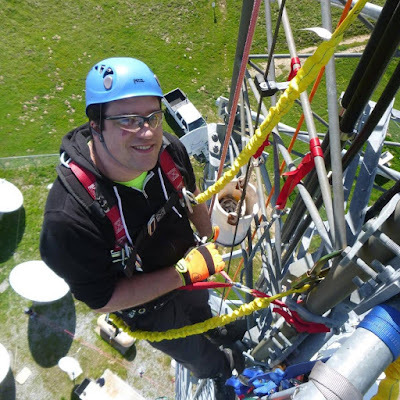 I love tower climbing since it's a good day of exercise on top of a great excuse to get tours of radio sites. "Hey Kenneth, I know you like to go on crazy adventures. You want to help one of my friends put on a commercial fireworks in Ft Bragg?" 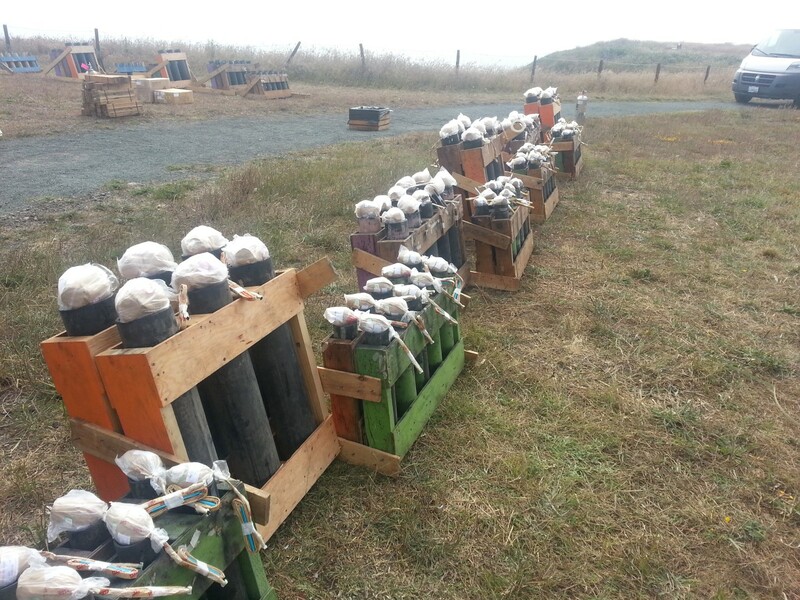 It ended up being a full day experience of get up at 5am, drive up to Ft Bragg, spend the afternoon unloading 650lb of fireworks and the corresponding gun racks out of a box truck, and then firing the show before crashing in a motel. 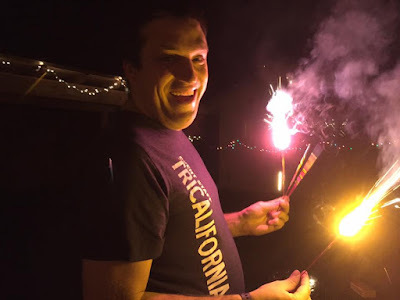 The fun part about these "hand-fired" shows is that we don't use a mile and a half of electronic matches to light off the shells but I get handed a 20 min road flare at the beginning of the show and get to run around using the road flare to light off the fireworks. So now for the question on what I want to try and do in 2017. My tradition of trying to pick up a new hobby every year started getting more difficult recently mainly because my hobbies (repeaters, beer brewing, tower climbing, etc) all tend to be so equipment intensive that my apartment is starting to get ridiculous with all my stuff. I think I was on to something good with the 2016 "public speaking" objective, so I think I'm going to go on a similar vein this year and try and get four magazine articles out the door. I've been complaining about how disappointing the amateur radio magazines have been long enough that I just need to put up and start delivering the content I want to read. The ARRL also pays pretty decent money for accepted content too, so that's a nice perk that this year's hobby might actually be cash positive for once. We'll see at the end of the year as to how I do. Here's to another year, and I hope all of your objectives and achievements find you in good health as well!